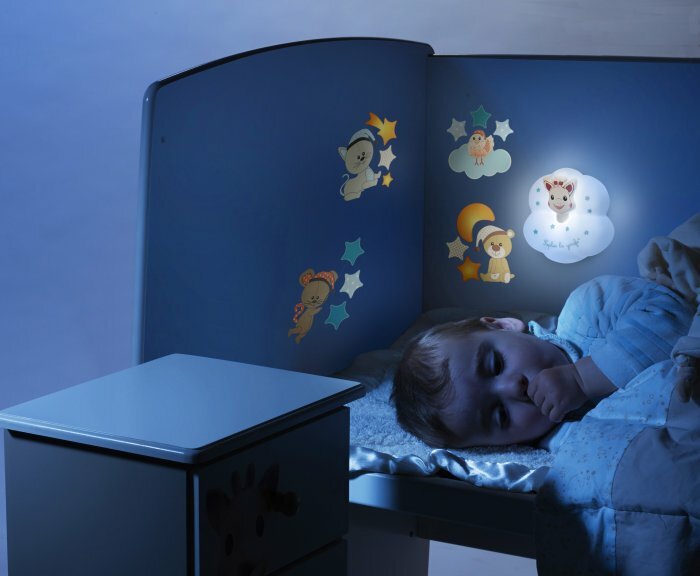 A nomadic night-light, accompanied by its 4 repositionable wall stickers. 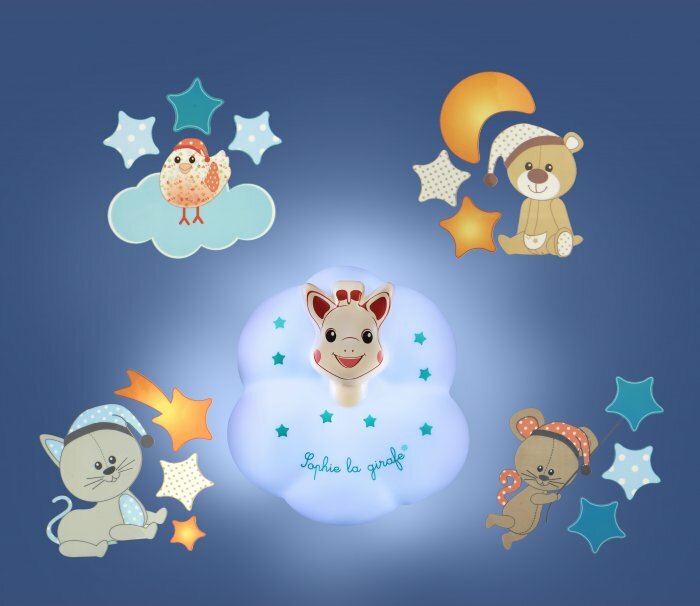 This nigh-light diffuses a soft light with 2 adjustable intensities, simply by tapping.
. A soft and pleasant material to the touch, unbreakable!
. Magnetic holder to easily fix it to the wall.
. Economic, the night-light goes into standby after 30 minutes use.